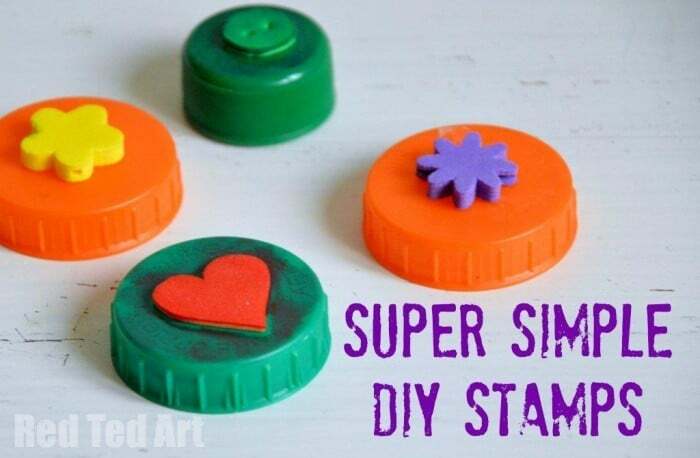 I made these little stamps with the kids a while ago – they are super simple to make – are a great way to upcycle old bottle tops and have fun. 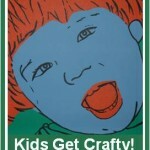 Use them for making cards or wrapping paper create your own pictures! 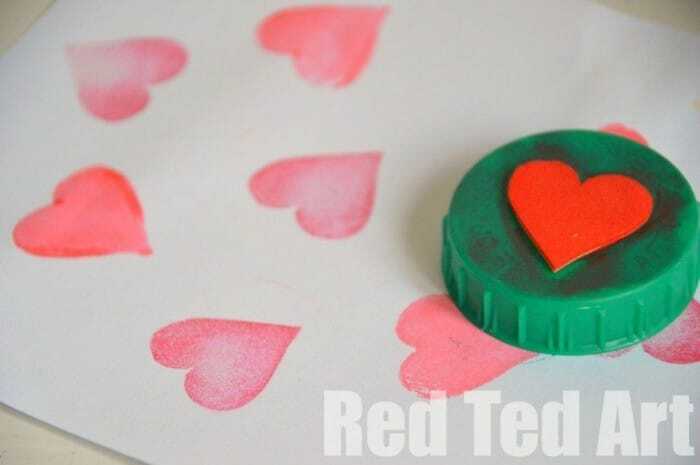 I think this is rapidly becoming one of those “childhood classic” crafts as bottle tops come in some many sizes, colours and shapes and craft foam is great to work with. I have seen it many times and finally we have had a go. It is very important that your bottle top and craft foam are perfectly flat – to get a nice neat print out of them! You, uhm, simply glue on the shapes and you are done! We have used these with both ink or paint. Both works. Though when you use paint, you may be better off to brush on the paint, to avoid “overloading” of the stamp and lots of smudging. Using precut shapes makes this less fiddly. 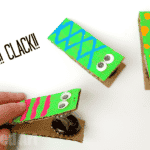 Why not cut out squares and triangles and see what shape pictures you can create? 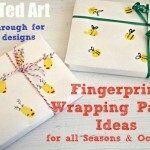 And take a peak at our “wrapping paper craft” ideas – these would be a great addition, don’t you think? 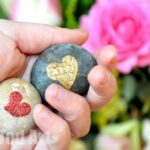 A fun way to get together with other crafty bloggers! 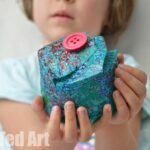 So very cool, love upcycling idea. Thank you for sharing! Totally cute! And made from junk! Love it. Awe so happy! Have fun. 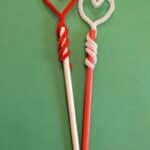 What a great idea – especially those hearts with Valentines coming up. Thank you and pleased you like them! 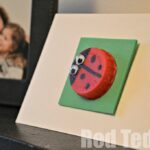 how cute-i have to try this with my kids this weekend.. we can make our names in stamps! Maggy, they are great. 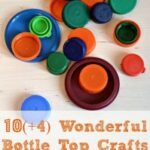 From now on i am saving all my bottle tops! Oh I am not sure if that is a good thing, Emma, I have bags of them in my crafty stash and must hoard less!!! Awesome! I have tried cutting out rubber but fail miserably definitely giving these a go! Oh yes, I can imaging your girls loving this Zing Zing Tree. Lucy – foam definitely easier than rubber! Cute! And I have both materials already on hand!